The World Cup 2018 has been a fantastic spectacle thus far, and we have nearly reached the climax of the tournament – but first comes the first semi-final. France meet Belgium as two of the World Cup’s best teams come head-to-head in what promises to be a pulsating affair. 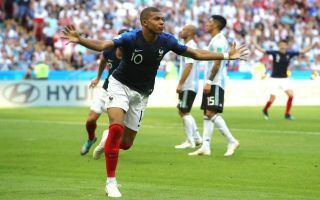 Didier Deschamps side beat Uruguay 2-0 with goals from Raphael Varane and Antoine Griezmann. Uruguay were dealt with the loss of Edinson Cavani to injury – however their goalkeeper Fernando Muslera – gifted a goal to Griezmann after parrying his shot into the back of the net. Meanwhile, Belgium arguably had a trickier test against five-times champions Brazil and won 2-1 in a highly entertaining match. Kevin De Bruyne scored a wonderful goal to put Belgium 2-0 up after Fernando Rosa’s own goal, before Renato Augusto scored to reduce the deficit. However, with Axel Witsel and Marouane Fellaini deployed in the middle and Thibaut Courtois in fine form, Roberto Martinez’s side held firm to win the game. Thomas Meunier will be suspended for the game against Les Bleus. When is France vs Belgium and what time is kick-off? The match will be televised live on BBC One, with a live stream available online via the BBC iPlayer.